I am my mother. I know because two weeks ago when I flew to San Diego, I boarded the plane with a pocket knife in my purse. Why you ask? Not the point. The point is, I was x-rayed, as was my purse. No one raised an eyebrow about the knife. In fact, no one mentioned it, which kind of makes me think no one noticed it since they did take offense to my belt buckle. Really? Mom turned 95 last month. She still lives on the 3000 acres she’s farmed for 60 plus years. Still tends her gardens, mows her yard and keeps her chickens. 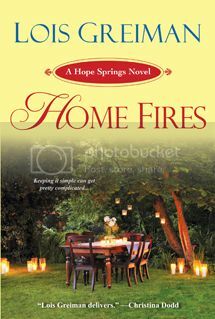 After writing thirty something romance novels she didn’t approved of but never complained about, I’ve published a trilogy called the Hope Springs series. It’s about a feisty farm girl who comes back to her roots and finds…well…I hope you’ll pick up a copy and read about what she finds. The latest of the three, Finally Home, will be released on November 26th. Romantic Times called it heartwarming and charming. Even my mother gave it a thumbs up. 🙂 So what about you? Does your mom approve of your reading material? Or have you had to hide your novels under your pillow since the day you turned twelve? 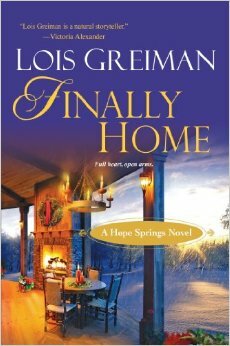 To celebrate the release of Finally Home (which would make a nice little stocking stuffer for anyone who likes a feel good story–really) I’m giving away an Amazon gift to one faithful commenter. 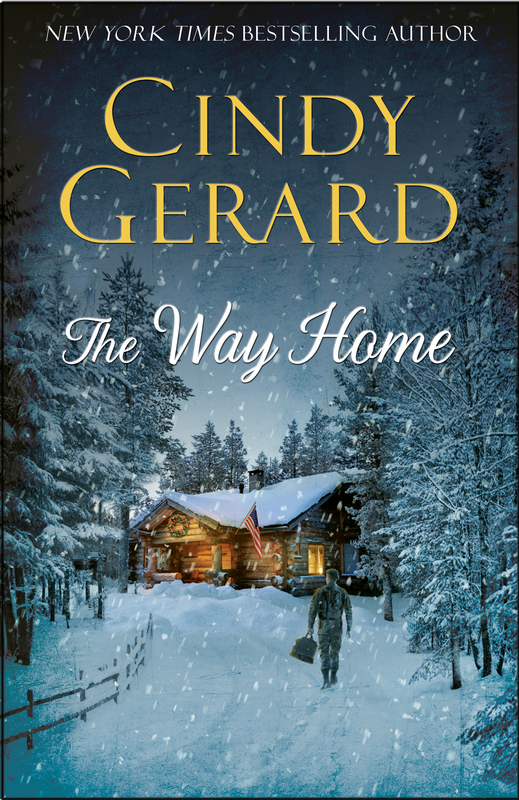 It’s fun to return to my old stomping grounds and talk to you a little about my new release, THE WAY HOME. Thanks, Kylie, for inviting me. But first – allow me to play catch up a bit. It’s been a busy year, as usual. We took our kids and grandkids to Disneyland, California Adventure, Hollywood Studios and the beach this past summer. Wow what a trip. Gramma and Grandpa had figured it would be an endurance test for us and more or less planned to watch the kids on the rides. Well, that didn’t happen. If they went – they insisted that we went. And when you’ve got a 5 year old sitting in the front of a rollercoaster with her hands up high in the air, saying “Come on you guys. It’s not scary”, well what can you do but get in the darn ride. :o) And you know what? We had a blast. We rode everything the kids did, got scared have to death in the process and laughed until we cried. Goes to show – it’s good to do something that scares you once in a while. We made several trips to the cabin with friends and family, had a couple of class reunions and in between I managed to write another book. As I said above The Way Home came out the end of October and I’m so excited about it. It’s my first hardcover, it’s a bonus book in the One Eyed Jack’s series, and it’s a special Christmas story. I’m feeling very gratified that the reviews have been wonderful. 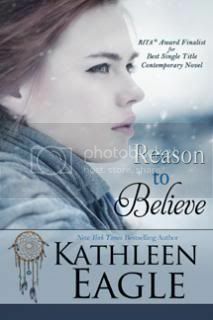 Readers have embraced this book which, although contains my usual military heroes, action, romance and suspense, also contains deeply emotional elements. Here’s the jacket copy to give you a feel for the story. Killed in Action–the most dreaded words imaginable for a soldier’s wife. Jess Albert has been living with them for four years, since the death of her husband in Afghanistan. Finding blessed numbness in routine, she doesn’t dare to look ahead, any more than she can bear to look back. Then Tyler Brown, former Special Ops warrior, shows up at her small general store in the Minnesota North Woods, jarring her back to life. 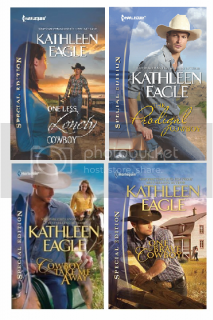 Jess knows better than to fall in love with another man who places duty to his country before love of his wife—but there’s no denying the longing and the hope for a future that Ty makes her feel. A world away, a man ravaged by years of captivity and torture, a man with no memories, finally escapes—clinging to life and sanity in a hostile land. In his darkest hour, he awakes in a lantern-lit cave to find a woman at his side. 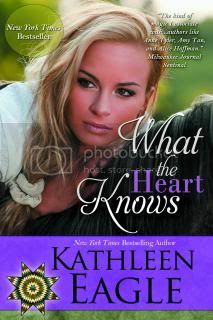 Dark-haired and dark-eyed, her touch is caring, despite the resentment he hears in her voice and sees on her face. Rabia is bound by honor to save the lost American soldier in her keeping, this broken warrior from a war that has brought so much devastation to her land. But is it honor igniting her compassion for her enemy, or is it something more? 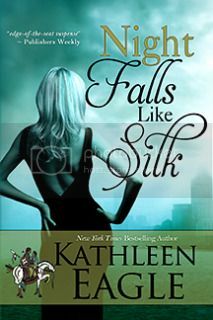 While a Black Ops team plans a daring rescue mission to bring the soldier home, two women on opposite sides of the world walk a dangerous path between betrayal and honor, and must find for themselves where to draw the line between duty and love. “I wish I could give this more than 5 stars! If I could, I’d give it 254929663269 stars! In any event, thanks for letting me tell you about The Way Home today. I’ll be giving away 2 e-book copies of When Somebody Loves You – a 2 book volume of 2 complete Loveswept novels from my backlist to be randomly chosen from today’s comments. Sorry I’m posting late today. I have been on a twenty-four hour search for my wedding ring. I managed to hang on it to for 37 years, and now its MIA. One of the prongs bent, and I’d been waiting to send it with my dh down to the jeweler in Fairfield, the next time he headed that way. But alas–we went on a trip and rather than leave it in an obvious place like the jewelry cabinet or a top dresser drawer, I hid it. So well, in fact, that I still cannot find it. Have you ever done something like this, or is it just me?! I have completely emptied the drawers in our bedroom and main floor guest room, emptied my closet, looked in every nook and cranny–two and three times each. Even my spice cupboard! Anyway. I meant to be posting today about change. Just last week, this was the view from our deck. 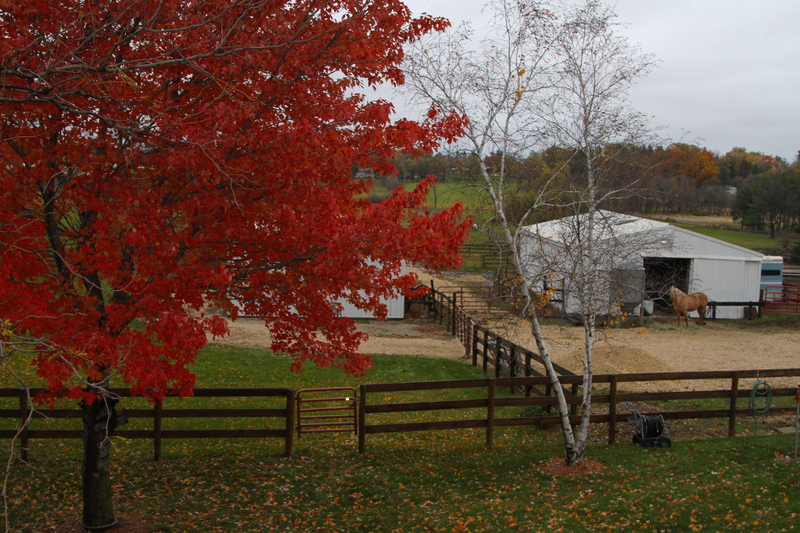 This fall, perhaps due to the drought here, our autumn has come in stages instead of all at once–the leaves on that birch glowed like gold two weeks ago, then those leaves fell, and the maple started to turn. And today! I had read nothing about snow in our forecast, and now the ground is white, and gorgeous flakes are still swirling from the sky. The neighbors have six weanlings in a large corral next to our place, and it’s always hilarious to see weanlings respond to their first experience with snow. They buck, and rear, and kick at it, shaking their heads and trying to escape the wet flakes coming down. And…I’m on the verge of–finally–joining the new age of self-publishing, with two books that should be available in December (Comeback Cowboy and Summer at Briar Lake), a third by mid-January (I hope) and a fourth in early spring. But I’m also hoping my agent will soon start shopping my trilogy to regular, print publishers as well. Exciting times, for me. I’d love to hear about your opinions on this new age in publishing. Do you prefer print, or digital books? Which type of e-readers do you like best? enjoying our snowy day in Iowa! We just had some good news in our family. My youngest son recently got engaged. But in keeping with his somewhat off-beat sense of humor, his journey to that point was somewhat comical. All sensitive information is still shielded from him until such a time it can become public knowledge. This at age 27 🙂 So he was rightly fearful that if he didn’t plan a proposal soon, he was going to blurt it out in the most un-romantic manner. “Hey I got you a ring…so be ready.” None of us wanted that. So we started talking about romantic gestures to go along with the proposal. His first idea–which I hope was joking about (but it’s always difficult to tell!) was to have the lights out when she came in the door and jump out of a closet to scare her and give her the ring. I pointed out that he might have to pick up a few teeth before he could get the proposal out, which would cast a damper on the mood. 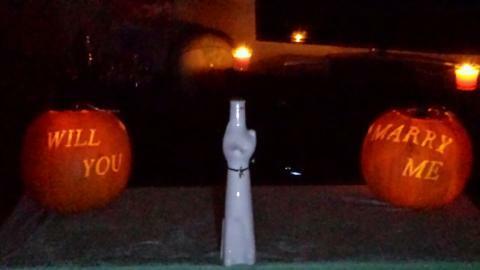 So given the time of year he decided to carve the proposal into pumpkins. In the center is her favorite wine (Black Cat) with the ring on a ribbon around it. The idea was the lights would be off in the apartment, this is the first thing she’d see and he’d have other candles around , as well. He took the afternoon off the get the carving done (which I think turned really well!) and then proceeded to wait. Thirty minutes after he expected her home, his fiance’ called and apologized…she got off work late and had errands to run and was then going to the Y. He tried to talk her into coming home right away to no avail. So more waiting. Another son arranged for he and his girlfriend to eat at a newly opened restaurant. They were there fairly early, so they were the only ones there. And unbeknownst to him, there was a band of musicians there to serenade them. He’s pretty artsy so he put a book together with a long poem about them, detailing their meet and courtship, complete with photographs of the important events in their relationship. His girlfriend got part through the book and said, “This is really long. How many pages is this?” She flipped through it and saw the ring attached to the last page. And then felt horrible because she’d ruined his surprise. These stories are ever so much more romantic than the one I have. I think it went something like, “So we probably ought to get married,” or something similarly swoon-worthy! Do you have a romantic story to tell about a proposal? Is the younger generation more cognizant of the need for romance than we used to be? 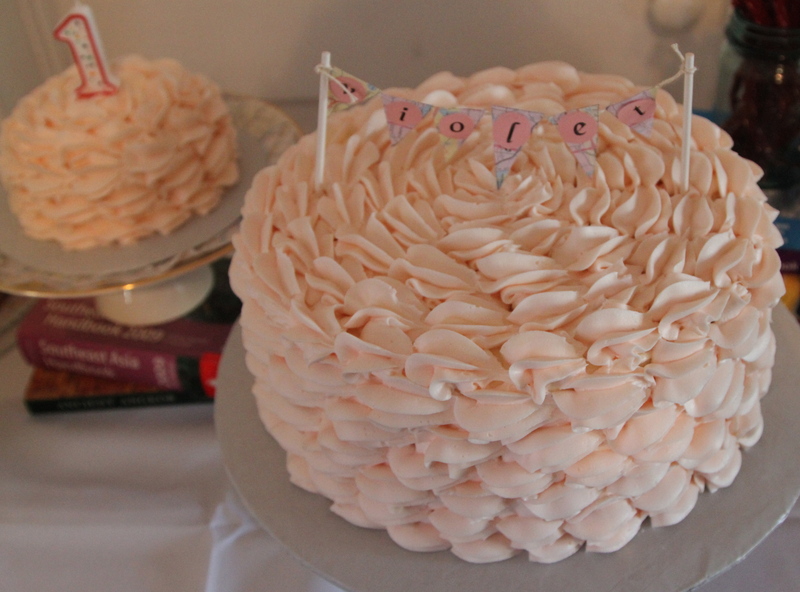 When my first book came out in September 2012, I was 8 months pregnant with my second child. My third book, Protecting His Princess, is out this month and I happen to be in the middle of moving to a new home. What can I say about my timing? Life is crazy busy, but always fun and exciting. I’m living in a sea of boxes and organized chaos. My To Do list is dozens of items long, some more critical than others. For example, I would like to stop feeding my family take out and stock the pantry and refrigerator with lots of healthy meal and snack choices. Other chores, like cleaning out the fireplace, can wait for when I have more free time. Have any tips to share with me on how to sort and organize? 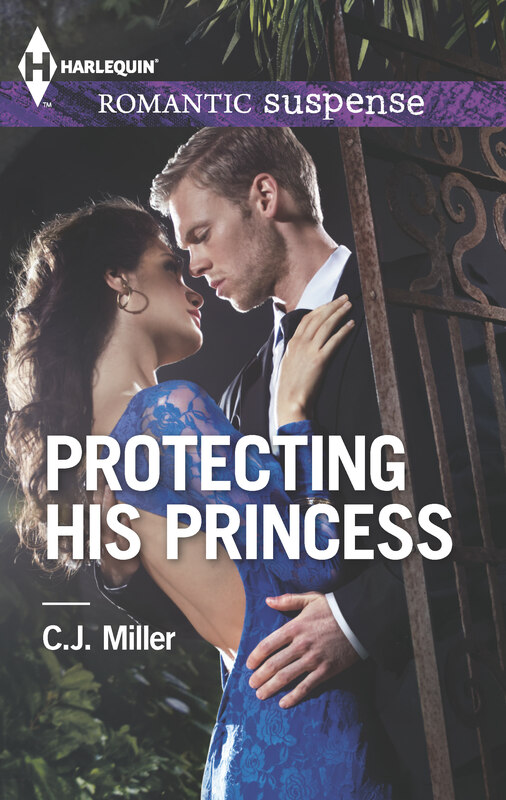 Share your thoughts and leave your email address (or email me at cj AT cj-miller DOT COM with the subject line RWTTD Giveaway) for your chance to win a copy of Protecting His Princess. Protecting His Princess, the third and final book in the Truman brother miniseries is out this month from Harlequin Romantic Suspense is available in print and e-book. 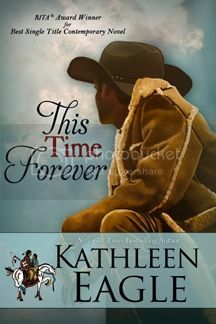 A 3rd generation Harlequin reader and the 1st in her family to write professionally, C.J. 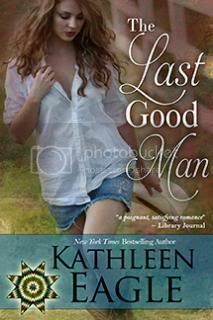 published her first book with Harlequin Romantic Suspense in 2012. She lives in Maryland with her family. 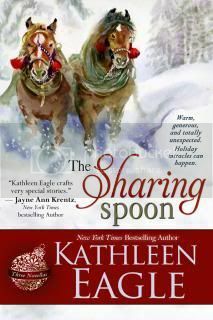 When she isn’t writing, she enjoys spending time with family and friends and reading. C.J. believes in first loves, second chances, and happily ever after. Mary C. you have won an Amazon gift card. Please email me at loisdgreiman@gmail.com. Thanks for the lovely comments, everyone. It began almost four years ago when my daughter, Tara, suggested we write a book together. She was still in school then and was on something of a young adult reading binge. But she was tired of books that featured kids with no ‘visible’ parents and thought it would be fun to create something about a mother and daughter who actually LIKED each other. 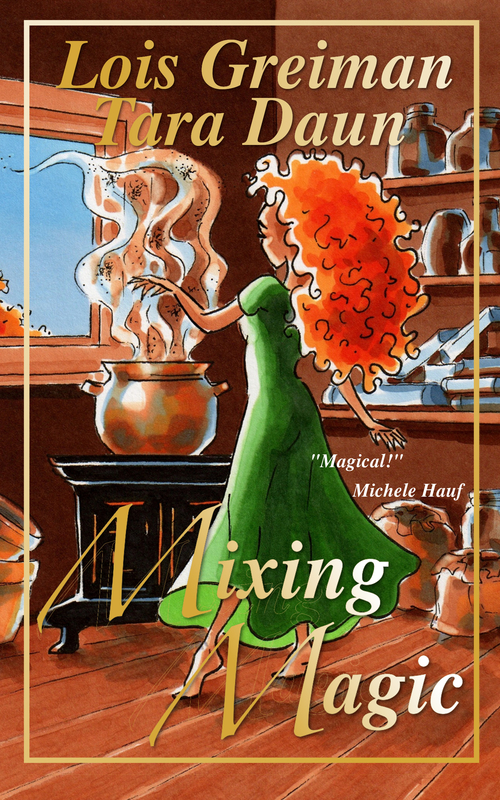 So out of our mutual love for fantasy, humor and literature in general, the first ideas for Mixing Magic were born. In the beginning, Tara wrote the daughter’s (Skye’s) point of view and I wrote the mother’s (Gentian’s). But during consecutive drafts things started melding together. At this point I don’t think either of us knows who wrote what. 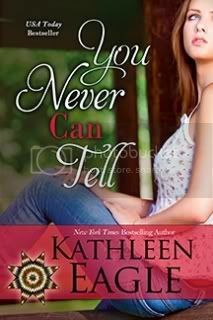 Although Gentian Baker has no memory of the first twenty years of her life, she’s content to raise her daughter, Skye, and manage the funky little restaurant she runs out of her Minnesota farmhouse. So what if she feels the need to use river water in her tea and pine cones in her lasagna? It just makes everyone love her cooking more. But when Skye awakens with considerably more canine features than are generally accepted in a teenage girl, the details of Gen’s past become increasingly important. In the days that follow, it becomes apparent that the simple, normal life Gen has tried to build for them is falling apart. Now, to protect everything she holds dear, she must accept her true nature and the nagging memories that haunt her. Growing up with Gen as her mother, Skye Baker never had a chance at normalcy, even by Black River’s freaky standards. Normal girls don’t have an uncanny ability with barnyard animals. They don’t have a crazy keen sense of smell, and they always always remain human. But as her hormones gear up to deliver her first…um…monthly gift…other changes make her feel even more beastly. And if growing a bushy new tail isn’t bad enough, she gets shot by Ryan Ramsey, the hot new boy in town. At least he might have shot her, or maybe he just thinks he did, which suggests that Ryan isn’t all that normal either. In fact, maybe no one in their sleepy little town is exactly what she seems. To celebrate the release of our first collaboration, we’re giving away an Amazon gift card. If you’d like to enter our drawing just leave a comment and we’ll throw your name in the hat.